Is your teen worried about his/her image and how braces are going to look? At Milestone Orthodontics, we recognize that image is very important to a teen and the thought of braces that includes metal brackets and wires does not sound like the next hottest thing. 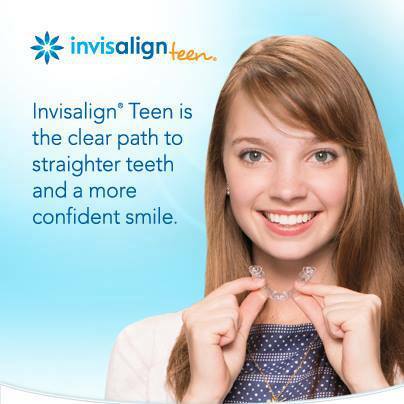 The good news is that there is Invisalign Teen® which is an alternative to traditional braces. Milestone Orthodontics can fit your teen with Invisalign Teen® and give your teen a whole new way of wearing braces for a “clearly” amazing smile! How does Invisalign Teen® work? Much in the same way as Invisalign®, but with a few added characteristics tailored specifically to the teenage lifestyle. For instance, Invisalign Teen® is designed with compliance indicators that fade from dark to light during the two-week period during which that particular tray is used. Once the indicator has faded, teens know to change trays. And, each aligner comes with up to six free individual replacement aligners in case the original aligner ends up lost or broken, which is another big benefit for teens! Sounds cool right? Contact Dr. Milestone at 201-845-8411 or visit our location near Verona for any questions. Keep enjoying being a teen with Invisalign Teen®.